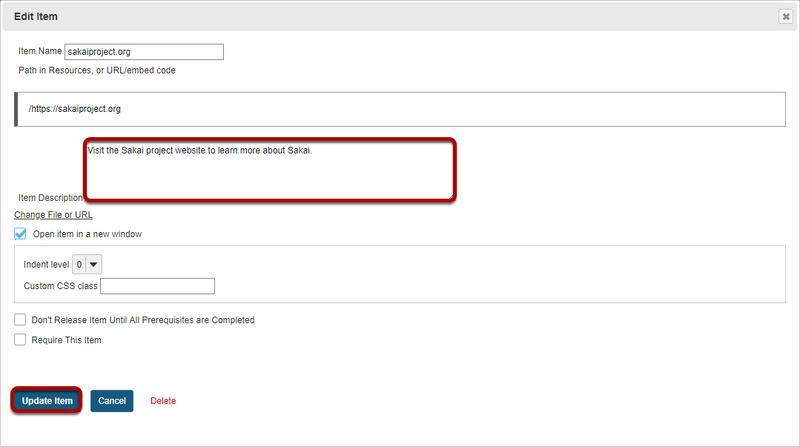 Sakai Community DocumentationSakai 19 User Guide (English) LessonsHow do I add a website link to a Lessons page? Instructors can add links to Internet websites on a Lessons page. Zoom: Enter the web address. Type (or copy and paste) the web address for the website in the text box labeled Or add a URL. View link on the page. Zoom: View link on the page. Saving returns the display to the Lessons page with the link to the website. 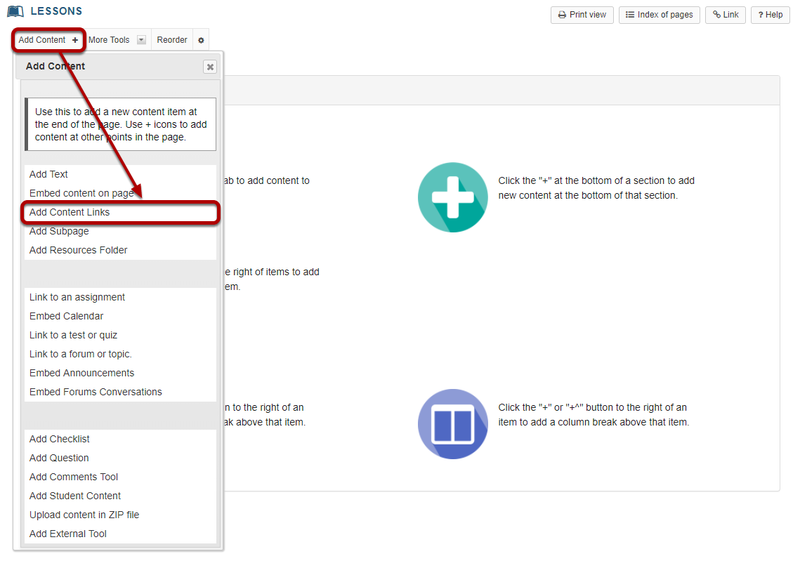 Updating returns the display to the Lessons page with the link and the link description shown. Prev: How do I embed an audio file on a Lessons page? Next: How do I add a file from Resources to a Lessons page?